Albert Comerford: United Kingdom; Private, Royal Fusiliers, 2nd Bn. Age, 29. Date of death: 5 June 1915. Service number: L/12331. Family information: brother of Mrs. R. Chaproniere, of 5, Pepin Place, Long Lane, Bermondsey, London. 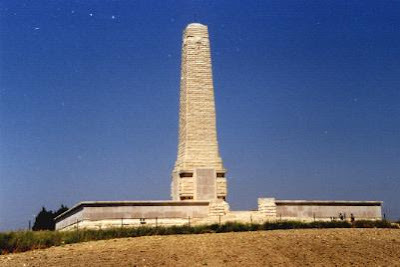 Memorial: Helles Memorial, Gallipoli, Turkey, Panel 37 to 41 or 328. Arthur Comerford: United Kingdom; Private, Queen’s Own (Royal West Kent Regiment), 1st Bn. Age, 29. Date of death: 19 September 1914. Service number: L/6701. Family information: Son of Lawrence Comerford, of 70 Britton Street, Gillingham, Kent; his brother, Charles James Comerford (see below) also fell. Memorial: La Ferte-sous-Jouarre Memorial. A.H. Comerford: United Kingdom; Private, Royal Sussex Regiment, 9th Bn. Date of death: 1 January 1915. Service number: L/1051. Grave/memorial reference: ZHN. 47. Buried: Brighton City Cemetery, Bear Road. A.J. Comerford: South African. Private, South African Infantry, 4th Regt. Date of death: 18 July 1916. Service number: 2973. Grave/memorial reference: VIII. A. 129, Boulogne Eastern Cemetery. Charles James Comerford: United Kingdom (Ireland); Sergeant, Royal Flying Corps, 57th Sqdn. Age: 26. Date of death: 18 August 1917. Service number: 1166. Family information: Born in Cork, son of Lawrence Comerford, of 70 Britton Street, Gillingham, Kent; his brother, Arthur Comerford (see above), also fell. Grave/memorial reference: XII. D. 13, Harlebeke New British Cemetery. Christopher Comerford: United Kingdom (Ireland); Private, Machine Gun Corps (Infantry), 86th Coy. Date of death: 28 February 1917. Service number: 21022. Family information: son of James and Mary Comerford, of Church View, Nenagh, Co Tipperary. Grave/memorial reference: 9.A.8., London Cemetery and Extension, Longueval. C. Comerford: United Kingdom; Lance Corporal, 19th (Queen Alexandra’s Own Royal) Hussars. Date of death: 5 January 1919. Service number: 6327. Grave/memorial reference: I. A. 23., Cologne Southern Cemetery. Derek Comerford: United Kingdom; Ordinary Seaman, Merchant Navy, S.S. Empire Engineer (West Hartlepool). Age: 17. Date of death: 2 February 1941. Family information: son of Peter and Mary Hannah Comerford, of North Shields. Northumberland. Grave/memorial reference: Panel 40, Tower Hill Memorial. E. Comerford: South African; Private, South African Infantry, 4th Regt. Date of death: 13 October 1918. Service number: 1957. Grave/memorial reference: Bl. UO. 12, Cape Town (Plumstead) Cemetery. Edward George Comerford, United Kingdom; Private, Bedfordshire Regiment, 2nd Bn. Age: 27. Date of death: 25 September 1915. Service number: 13491. Family information: son of Mr and Mrs John Comerford, of Saint George’s, Hill, Bristol; husband of Laura Annie Comerford, of 273 Hotwell Road, Hotwells, Bristol. Grave/memorial reference: Panel 41, Loos Memorial. Ernest Edward Comerford: Australian; Lieutenant, Australian Infantry, A.I.F. 3 Rec. Trg. Bn. Age: 28. Date of death: 18 July 1945. Service number: QX.35506. Family information: Son of John Edward and Rosina Comerford, of Townsville, Queensland. Grave/memorial reference: 2W. D. 8, Sydney War Cemetery. Frank Comerford: United Kingdom; Company Quartermaster Serjeant, Royal Army Ordnance Corps. Age: 40. Date of death: 3 April 1944. Service number: 3514928. Family information: son of William and Margaret Comerford; husband of Doris Mary Comerford, of Frankwell, Shrewsbury, Shropshire. Grave/memorial reference: Sec. A 2 D. Grave 1. Beeston and Stapleford (Chilwell) Cemetery. Frederick Patrick Comerford: United Kingdom; Private, Royal Fusiliers, 9th Bn. Date of death: 7 October 1916. Service number: L/14339. Grave/memorial reference: Pier and Face 8 C 9 A and 16 A, Thiepval Memorial. F. Comerford: United Kingdom; Private, Lancashire Fusiliers, 11th Bn. Age: 27. Date of death: 18 July 1916. Service number: 7764. Family information: Husband of Elizabeth Macarty (formerly Comerford), of 31 New Hall Street, Whit Lane, Pendleton, Manchester. Grave/memorial reference: 34. RC. 308, Salford (Agecroft) Cemetery. F. Comerford: United Kingdom; Private, Queen’s Own (Royal West Kent) Regiment. Age: ? Date of death: 3 May 1917. Service number: G/11059. Grave/memorial reference: Cagnicourt British Cemetery. G. Comerford, United Kingdom; Private, Royal Welsh Fusiliers, ‘C’ Coy. 2nd Bn. Age: 33. Date of death: 26 March 1915. Service number: 9116. Family information: son of Richard and Elizabeth Comerford, of Small Heath, Birmingham. Grave/memorial reference: Screen Wall. B10. 214, Birmingham (Lodge Hill) Cemetery. Gordon Patrick Comerford, United Kingdom; Leading Stoker, Royal Navy, HMS St George. Age: ? Date of death: 9 September 1915. Service number: 308587. Grave/memorial reference: 41. C. 20, Grimsby (Scartho Road) Cemetery. Henry Martin Comerford, Australian; Driver, Australian Field Artillery, 5th Bde. Age: 28. Date of death: 7 November 1917. Service number: 29927. Family information: son of John Comerford, of Mintaro, South Australia, and the late Ellen Comerford. 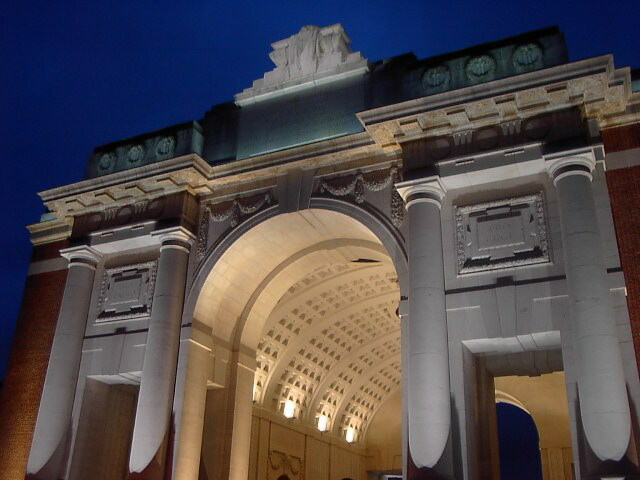 Grave/memorial reference: Panel 7, Ypres (Menin Gate) Memorial. Herbert Comerford, United Kingdom; Private, 2nd Dragoon Guards (Queen’s Bays). Age: ? Date of death: 1 September 1914. Service number: 780. Grave/memorial reference: 2, Baron Communal Cemetery. James Comerford (alias, true family name Moran), United Kingdom (Ireland); Private, Royal Irish Regiment, 2nd Bn. Age: 34. Date of death: 19 October 1914. Service number: 6486. Family information: served as James Comerford, son of the late Mr and Mrs Moran, of King’s Street, Kilkenny; husband of Mrs Moran of New Building Lane, Kilkenny. Grave/memorial reference: Panel 11 and 12, Le Touret Memorial. James Comerford, United Kingdom (Ireland); Corporal, Leinster Regiment, 1st Bn. Age: 21. Date of death: 21 April 1915. Service number: 10173. Family information: son of Nicholas and Julia Comerford, of Deer Park, Castlecomer, Co Kilkenny. Grave/memorial reference: Panel 44, Ypres (Menin Gate) Memorial. James Comerford (Comerton), United Kingdom (Ireland); Fireman, Mercantile Marine, SS Antinoe (London). Age: 42. Date of death: 28 May 1917, when the Antinoe was torpedoed by a German submarine about 150 miles off Bishop Rock. Family information: son of Martin and Mary (Comerford) of John Street, Wexford; husband of Julia Comerton (nee O’Connol), of Wygram Place, Wexford; born in Wexford. Memorial: Tower Hill Memorial, London. James Comerford, United Kingdom; Private, The King’s (Liverpool Regiment), 4th Bn. Age: 25. Date of death: 27 September 1917. Service number: 51519. Family information: son of Patrick and Mary Comerford, of 46 Slade Street, Liverpool; native of Liverpool. Grave/memorial reference: XXIV. G. 7, Lijssenthoek Military Cemetery. James Comerford, United Kingdom (Ireland); Private, Royal Army Service Corps, Royal Engineers, attd. ‘L’ Signal Bn. Age: 19. Date of death: 2 February 1919. Service number: M/345253. Family information: son of Mr and Mrs J Comerford, of 4 Saint Joseph’s Place, Limerick. Grave/memorial reference: VIII. A. IIA, Les Baraques Military Cemetery, Sangatte. James Matthew Comerford, Australian; Corporal, Australian Infantry, A.I.F. 2/26 Bn. Age: 26. Date of death: 25 May 1943. Service number: QX17117. Family information: son of Edward Tobias and Ellen Cecelia Comerford, of Paddington, Queensland, Australia. Grave/memorial reference: A1. B. 19, Thanbyuzayat War Cemetery, Burma. John Comerford, United Kingdom; Private, Irish Guards, 1st Bn. Age: 26. Date of death: 26 October 1914. Service number: 2802. Family information: son of Edward and Mary Comerford of Castlecomer, Co Kilkenny. Grave/memorial reference: Panel 11, Ypres (Menin Gate) Memorial. John Comerford, United Kingdom; Private, Manchester Regiment, ‘D’ Coy. 1st/8th Bn. Age: 20. Date of death: 14 May 1915. Service number: 1678. 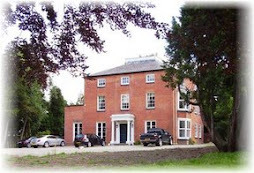 Family information: son of Edward and Mary Comerford, of 21 Saint Luke’s Street, Chorlton-on-Medlock, Manchester. Grave/memorial reference: Panel 158 to 170, Helles Memorial, Gallipoli, Turkey. John Comerford, Australia; Private, Australian Infantry Base Depot. Date of death: 31 August 1915. Grave/memorial reference: R.C.B. 116. (GRM/3*), Brighton General Cemetery, Victoria. John Comerford, United Kingdom (Ireland); Private, Machine Gun Corps (Cavalry), 1st Sqdn. Age: 22. Date of death: 27 March 1918. Service number: 105293. Family information: son of Nicholas and Margaret Comerford, of Clontumpher, Esker, Co Longford. Grave/memorial reference: Panel 93 and 94, Pozieres Memorial. John Comerford, United Kingdom; Private, Cameronians (Scottish Rifles), 5th/6th Bn. Age: ? Date of death: 16 April 1918. Service number: 290899. Grave/memorial reference: Panel 5, Ploegsteert Memorial. John Edward Comerford, Australian; Private, Australian Infantry, A.I.F., 18th Bn. Age: 32. Date of death: 27 September 1920. Service number: 1903. Grave/memorial reference: R.C. 4.523. (GRM/2*), Rookwood Necropolis, Sydney. John Joseph Comerford, United Kingdom (Ireland); Private, Cheshire Regiment, 6th Bn. Date of death: 10 May 1916. Service number: 2061. Grave/memorial reference: III. R. 4, Guards’ Cemetery, Windy Corner, Cuinchy, France. Originally from Cork. J. Comerford, United Kingdom (Ireland); Private, Connaught Rangers, 1st Bn. Date of death: 17 February 1917. Service number: 1/9888. Grave/memorial reference: XXVIII. A. 24, Amara War Cemetery, Iraq. Laurence Comerford, United Kingdom (Ireland); Able Seaman, Mercantile Marine, SS Coningbeg (Glasgow). Age: 39. Date of death: 18 December 1917. Family information: son of Catherine Comerford and the late Patrick and Catherine Comerford; husband of Anastasia Comerford (nee Hawkins), of 5 Presentation Row, Waterford; born in Fethard-on-Sea, Co Wexford, 1878; his brother, Patrick Comerford (see below), was a casualty in World War II. Grave/memorial reference: Tower Hill Memorial; SS Coningbeg Memorial, Adelphi Quay, Waterford. Lilian Rose Comerford, United Kingdom; civilian casualty. Age: 62. Date of death: 30 September 1940. Family information: of Rose Cottage, The Ridge, Hastings; daughter of Francis Thomas and Charlotte Comerford. Died at Robertson Street. Reporting authority: Hastings County Borough. Mary Agnes Comerford, United Kingdom; civilian casualty. Age: 17. Date of death: 16 December 1940. Family information: daughter of Thomas and Mary Agnes Comerford, of 26 New Allen Street, Collyhurst, Manchester; died at Ancoats Hospital, New Cross, Manchester; her brother, Michael John Comerford (see below), died in 1944, and is buried near Athens. Reporting authority: Manchester County Borough. Michael Comerford, Australian (Ireland); Private, Australian Infantry, A.I.F., 53rd Bn. Date of death: 19 July 1916. Service number: 4755. Family information: son of Mr and Mrs John Comerford, native of Ireland. Grave/memorial reference: 7, VC Corner, Australian Cemetery and Memorial, Fromelles, France. The Villers-Bretonneux Memorial is Australia’s national memorial. It was erected to honour all Australians who served in France and Belgium during World War I. The cemetery has no headstones and is specifically dedicated to the abortive attack at Fromelles. The memorial wall records the names of 1,299 Australians who died in the battle and have no known grave. Its lawns contain 410 unidentified bodies of former AIF soldiers who fought in this sector in No-Man’s-Land between the German and Australian frontlines. Michael Comerford, Australian; Private, Australian Infantry, A.I.F., 36th Bn. Date of death: 7 June 1917. Service number: 1813. 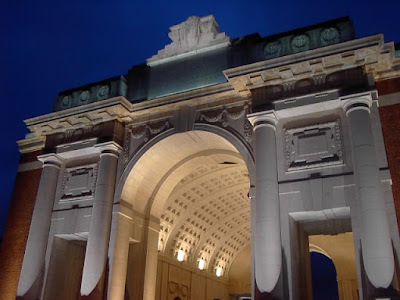 Grave/memorial reference: Panel 7-17-23-25-27-29-31, Ypres (Menin Gate) Memorial. Michael John Comerford, United Kingdom; Gunner, Royal Artillery, 165 Field Regt. Age: 22. Date of death: 5 December 1944. Service number: 1144779. Family information: son of Thomas and Mary Agnes Comerford, of Manchester; husband of Sabina Comerford, of Manchester; his sister, Mary Agnes Comerford (see above), was a civilian casualty in 1940. Grave/memorial reference: 16. E. 12, Phaleron War Cemetery, near Athens. Patrick Comerford, United Kingdom (Ireland); Able Seaman, Merchant Navy, SS Clune Park (Greenock). Age: 52. Date of death: 12 February 1941. Family information: husband of Catherine Comerford, of Dungulph, Fethard-on-Sea, Co Wexford. His brother, Laurence Comerford (see above), was a casualty in World War I. Grave/memorial reference: Panel 31, Tower Hill Memorial. R. Comerford, United Kingdom; Private, Durham Light Infantry, 2nd Bn. Age: ? Date of death: 3 June 1917. Service number: 28038. Family information: son of Mr J Comerford, of 18E, Elizabeth-ville, Birtley, Co Durham. Grave/memorial reference: I.Q.48, Philosophe British Cemetery, Mazingarbe. T. Comerford, United Kingdom; Private, Lancashire Fusiliers, 15th Bn. Age: ? Date of death: 25 December 1917. Service number: 306560. Grave/memorial reference: II. E. 16, St Julien Dressing Station Cemetery. Thomas Michael Comerford, Australian; Private, Australian Infantry, A.I.F. 2/20 Bn. Age: 39. Date of death: 26 October 1943. Service number: NX55519. Family information: son of John and Bridget Ann Comerford. Grave/memorial reference: Aust. Sec. A.B.1, Yokohama War Cemetery, Japan. William Comerford, United Kingdom; Fusilier, Royal Inniskilling Fusiliers, 1st Bn. Age: 22. Date of death: 18 January 1943. Service number: 6981836. Family information: son of Edward William Comerford and Harriet Comerford, of Mansfield, Nottinghamshire. Grave/memorial reference: Face 11, Rangoon Memorial, Burma. William Henry Comerford, United Kingdom (Ireland); Cook, Mercantile Marine, SS Clangula (Cork). Age: 42. Date of death: 19 November 1917. Family information: son of Elizabeth Comerford and the late James Comerford; husband of Mary Elizabeth Comerford (nee Graham), of 17 Taft Street, Holt Road, Liverpool; born in Limerick. Grave/memorial reference: Tower Hill Memorial. Edward William Commerford, United Kingdom; Private, Home Guard, 18th County of London Bn. Age: 39. Date of death: 4 February 1944. Family information: son of Edward and Matilda Commerford; husband of Minnie Commerford, of Dulwich. Grave/memorial reference: Sec. 86. Grave 39695, West Norwood Cemetery and Crematorium. Gerald Francis Commerford, Australian; Private, Australian Army Medical Corps, A.I.F. 2/10 Field Ambulance. Age: 25. Date of death: 9 February 1945. Service number: NX33246. Family information: son of Denis and Margaret Sarah Commerford, of Lower Lawrence, New South Wales. Grave/memorial reference: Panel 26, Labuan Memorial, Malysia. HJ Commerford, South African; Gunner, Cape Garrison Artillery. Age: ? Date of death: 13 October 1918. Service number: A/6655. Grave/memorial reference: Bl. UO. 13, Cape Town (Plumstead) Cemetery. John Commerford, United Kingdom; Lance Corporal, Middlesex Regiment, 1st Bn. Age: 27. Date of death: between 1 and 2 October 1942. Service number: 6010413. Family information: son of Serjeant TJ Commerford, The Royal Fusiliers, and of Mary Commerford, of Sunbury-on-Thames, Middlesex, England. Grave/memorial reference: Column 14, Sat Wan Memorial, Hong Kong. Noel Patrick Commerford, South African; Able Seaman, South African Naval Forces, HMS Cornwall. Age: ?. Date of death: 5 April 1942. Service number: 66493. Family information: son of Mrs. P Commerford, of Cape Town, Cape Province, South Africa; brother of Terence Commerford (see below), who died five months later. Grave/memorial reference: Panel 74, Column 1, Plymouth Naval Memorial. Thomas Commerford, United Kingdom; Ordinary Seaman, Royal Navy, HMS Invincible. Age: 18. Date of death: 31 May 1916. Service number: J/23915. Family information: son of Matthew Michael Commerford (late Royal Engineers) and Lily Lavinia Commerford, of 34 Emmett Carr, Renishaw, Chesterfield. Grave/memorial reference: Panel 14, Plymouth Naval Memorial. Terence Commerford, South African; Ordinary Seaman, South African Naval Forces, HMS Express. Age: 21. Date of death: 19 September 1942. Service number: 330258. Family information: son of Pierce and Wilhelmina Commerford of Cape Town; brother of Noel Patrick Commerford (see above), who died five months earlier. Grave/memorial reference: Block F. Grave 275, Durban (Stellawood) Cemetery. Thomas James Commerford, United Kingdom; Serjeant, Royal Fusiliers, 6th Bn. Age: 34. Date of death: 28 September 1917. Service number: L/7271. 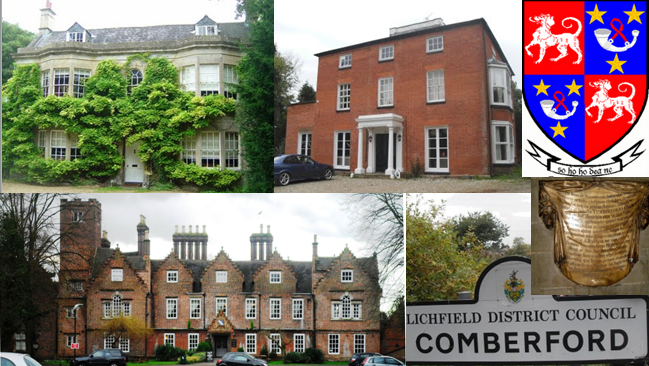 Family information: son of John and Susan Commerford; husband of Mary (Fenton) Commerford, of 37 Heathfield Estate, Hanworth Road, Hounslow, Middlesex. Grave/memorial reference: F. C. 49, New Brentwood Cemetery. Thomas Matthew Comerford, United Kingdom; Trooper, Royal Armoured Corps, 8th King’s Royal Irish Hussars. Age: 36. Date of death: 19 August 1944. Service number: 7927353. Family information: son of Thomas James Commerford and Mary Commerford; husband of Phyllis Ettie Mary Commerford, of Sunbury-on-Thames, Middlesex. Grave/memorial reference: III. F. 13, Banneville-la-Campagne War Cemetery. William Michael Comerford, Canadian; Private, Royal Canadian Infantry Corps. Age: 36. Date of death: 30 November 1944. Service number: D/142978. Family information: husband of Muriel Commerford, of Montreal. Grave/memorial reference: Sec. I. Lot 1498. Grave 5957, Montreal (Notre Dame des Neiges) Cemetery, Canada. Hugh Brown Cumberford, United Kingdom; Radio Officer, Merchant Navy, SS Kellwyn (Swansea). Age: 19. Date of death: 27 July 1941. Family information: son of John Brown Cumberford and Agnes Cumberford, of Dalmarnock, Glasgow. Grave/memorial reference: Tower Hill Memorial. Tom Burnell and Margaret Gilbert, The Wexford War Dead (Dublin: Nonsuch, 2009). Kilkenny People, 15 November 2011. © Patrick Comerford 2009, 2010, 2011, 2012, 2015. Last updated: 11, 14 and 15 November 2010; 11 December 2010; 12 January 2011; 11 July 2012; 6 November 2015. James was in my family - he moved in with my grandmother's family (due to her parents' death she and her sister were being looked after by Auntie, Catherine Ann Comerford) - he was pious and planned to become a priest (so didn't get on well with his dad, apparently). So James was treated as the son/brother they never had. Unfortunately he was called up and died in the Battle of Passchendaele. This was clearly a big blow and my grandmother kept a large framed picture of him in her bedroom until she died. I am currently trying to track it down (it can't have gone that far) so I can get a scan of it. All I currently have about his military service is basically what you have but I will see what I can get from the MOD (although a decent percentage of the WWI records are gone, so I'm not holding my breath on this). Derek Comerford lost at sea 2nd February 1941 , whose name appears on the memorial at Tower Hill was my Uncle. He was the sixth child of Peter and Mary Hannah Comerford of North Shields. Derek was only 17 when he was lost. His Father Peter had to sign and give his permission for Derek to go sea. I believe this was only his second trip. His Mother never got over his death. The information surrounding the North Atlantic Convoys was very limited until recent years. My Grandfather Peter hailed from Glasgow, and was a Sailor himself. His Father was also born in Glasgow, but his Father came from Ireland. Thank you for such a wonderful, informative site, a pure gold mine for all Comerford.